BOSTON – March 30, 2017 – Fiduciary Trust Company, a private wealth management firm serving individuals, non-profits, family offices and advisors, announced today that Robert J. Jeffers has joined the firm as Chief Operating Officer (COO). Jeffers joins Fiduciary Trust from State Street Bank & Trust, where he was a managing director and Head of Wealth Custody Services. 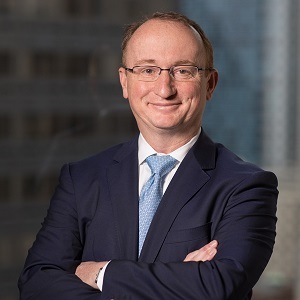 Prior to State Street, Jeffers spent 17 years at Deutsche Bank, serving as Head of UK/US Private Wealth Management Operations and Head of U.S. High Net Worth Investment Advisory and Trust, in addition to other roles. Jeffers began his career at Credit Suisse. As COO, Jeffers will be responsible for the overall operations that support Fiduciary Trust’s customized offering. In addition to supporting various corporate initiatives, he will oversee the firm’s Client Information Services, Cash Management & Securities, Tax, and Technology departments. In addition, Jeffers will serve as a member of the Senior Management Committee. Jeffers received his undergraduate degree from the University of California, at Berkeley, where he studied Political Economics of Industrial Societies. He later earned a Master of Business Administration from The Wharton School. Fiduciary Trust is a privately-owned wealth management firm focused on families, individuals and non-profits seeking objective expertise to grow and protect their investments. The firm also provides a range of services to single family offices and professional advisors. Fiduciary’s capabilities include customized financial planning, investment management, trust and estate administration, and family office and custody services. Fiduciary Trust takes a personal approach based on expertise, strong performance and a genuine commitment to act in its clients best interests. The firm’s unique, private ownership and unconflicted investment approach align its interests with clients’ and provide the stability and permanence its clients seek. For additional information about Fiduciary’s services, please visit www.fiduciary-trust.com, or contact Randy Kinard at 617-574-3432.